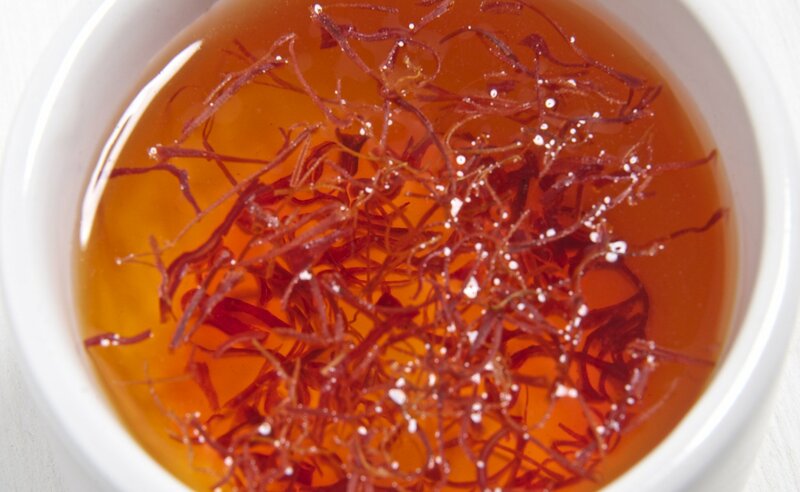 Crocin, an active component of saffron (spice) impedes cancer cells from dividing by interfering with microtubules, says a new study performed by scientists at the Indian Institute of Technology, Bombay (IITB). The study was published in Scientific Reports this April. Conventional cancer therapies such as the chemotherapy and radiotherapy can induce genetic damage over a period of time, sometimes resulting in new cancers. That apart, their effectiveness decreases with time as cancer cells develop resistance to treatment. This has resulted in cancer researchers deviating from mainstream approaches to cancer treatment and look for natural molecules capable of derailing the development of cancer in its early stage. Working on similar lines, the IITB researchers found that, crocin (from saffron) arrested the progression of cell cycle in the G2/M phase and inhibited the formation of mitotic spindles. They were studying how breast cancer cell lines respond to different concentrations of crocin exposure. The researchers found that crocin inhibits microtubule assembly by aggregating tubulin monomers into multimeric groups or by restricting the addition of tubulin dimers at the ‘+’ end of the microtubules. The effect of crocin varied based on its concentration. At lower concentration, it inhibited tubulin polymerisation and at higher concentration, it induced tubulin aggregation. Tubulin protein has two domains, ‘vinca’ domain and the ‘colchicine’ domain. The authors found through, competitive binding experiments, that crocin has higher binding affinity for the ’vinca’ domain when compared to the ‘colchicine’ domain. Indicating that, “crocin can be used as an alternative to the taxol containing drugs, which bind to the ‘colchicine’ domain and are potential neurotoxins,” says Dulal Panda, principal investigator of the study and professor at the department of Biosciences and Bioengineering, IITB. The researchers also found that crocin exhibits higher specificity for the cancer cells when compared to normal cells. The reason for this specificity is not well understood. Panda hypothesises that it could be attributed “to the cell cycle checkpoint proteins that are mutated in case of cancer cells”. Perhaps, these mutated proteins trigger crocin’s activity. ‘This is a well-established work,” says Hamid Bakshi, Huddersfield University in the UK who was not involved with the study. Cancer cells rely on multiple pathways for metastasis. “It would be significant to check the action of crocin on these pathways. Understanding the molecular mechanism of crocin before translating into clinical use is highly important”, he adds. Panda is now looking “to design effective drug formulation of higher efficacy and safety, preferably by using nanoparticles for the targeted delivery of the drug.” He hopes to replicate his results in an in-vivo study with no toxic effects to the other organs. ‘This study establishes crocin as a potential anticancer agent like other known natural anticancer drugs such as vinblastine, vincristine and paclitaxel’, says Mukesh Jain, associate professor at Jawaharlal Nehru University, New Delhi. “The next challenge would be to engineer saffron for higher production of crocin, using recombinant technology”, he adds.